Isaac Newton was born in England just after midnight on the Christmas Day in 1642. He was premature and the doctor who attended his birth did not expect him to survive. His father had died three months earlier, leaving his mother, Hannah, to raise the sickly child on her own. The society still believed in witchcraft and the Civil war was going on in England. Isaac’s mother remarried a wealthy Clergyman Bermabas Smith. Isaac felt jealous and hated his new father. But far worse was to come. Isaac new step father decided that Hannah was to leave her son to live with his grand mother at Wools Thorpe while she was to move to south Witham to look after her new husband and their young child. Isaac never got on with his grand mother. The trauma he experienced over his mother’s marriage scarred him for life and accounted for his melancholy as a teenager and emotional upsets in later life. He loathed Bernabas Smith for the rest of his life. When Isaac was older he began to keep a diary in which he poured out his feeling of hated for the man. Even in old age, almost eighty years later he would tell friends how often he dreamt of killing his step father and rescuing his mother from the ‘beast’. Isaac childhood was a lonely time. He made very few friends and usually kept himself to himself. He played with models and little mechanical devices in his grand mother’s house. When Isaac was ten his step father died and his mother returned to Isaac houses. Two years later Isaac went to Grantham Grammar school nearby where he stayed with his uncle in the town. Isaac made little impression at school. He was considered average by his teachers and unsocial able by his classmates. Later he admitted that he ignored his work and spent most of his time making models and carrying out his own experiments. He was physically weak and could not take part in rough games and fights. In 1659, Hannah Newton, Isaac’s mother decided to take her son away from school to work on a family farm. Newton would have remained a farmer throughout his life but his uncle and the head master recognized Isaac’s intellectual skills. He was absent minded and forgetful – often leaving the work on the farm unfinished. His mother was convinced that the young man was an absolutely hopeless farmer. With the support of his uncle and head master, eighteen year old Isaac was admitted in Cambridge University in 1661. His mother could not afford to support the expenses of his son through University. Isaac had to earn his keep by cleaning the rooms of paying scholars, serving at the high table, and doing menial jobs for his seniors. Newton set about preparing for his studies straightway. He gained a reputation of being a boring and very solemn young man. It was in Cambridge that Newton began to formulate his early theories of forces and movements. He started to develop his ideas about nature of light. On Sunday afternoon in 1664 he got fascinated by a glass prism and conducted experiment after experiment, he discovered that white light is made of a spectrum of seven colors. He now started earning and was no longer required to do menial jobs. In 1665 he was made a Bachelor of Arts. Newton embarked on developing his ideas about how light worked and at the same time began his research into Gravity and how planets move. In June 1665 due to the outbreak of plague the University was closed. Newton moved to Lincolnshire and continued his studies. In 1666 the great breakthrough occurred –that of the falling Apple. Newton developed the theory of gravity within a period of eighteen months. He also discovered differential Calculus and the nature of white light. Newton earned an unparalleled place in the history. He developed three laws of motion. Newton work has become the foundation for modern Science. At the age of twenty five Newton was elected to the prestigious position of Fellow of Trinity College. He became the youngest ever the Professor of Mathematics at Cambridge. 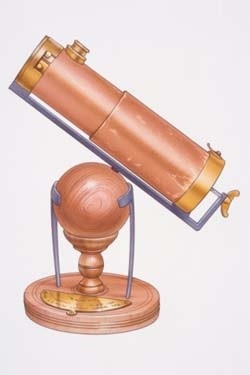 In 1670 Newton built a new type of telescope. In 1672 he was invited to join the distinguished Royal Society. In 1686 he published Principia Mathematics. Due to Many years of overworking, pushing himself to the limits of endurance, at the age of fifty-one Newton fell sick. He had a nervous breakdown from 1693 to 1696 which were the worst years of his life, the black years. 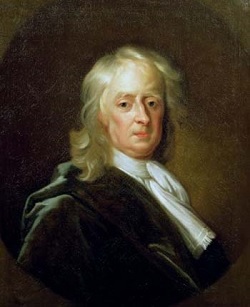 In 1703 Newton was made president of the Royal society. In 1704 he published his book ‘Optics’. For twenty three more years he occupied his illustrious position in both Science and the Civil Service. He was knighted by Queen Anne. He died on March20, 1727 aged 84, having been ill and bed ridden for several months.